Caloocan, officially the City of Caloocan, (Tagalog: Lungsod ng Caloocan), or simply known as Caloocan City, is a 1st class highly urbanized city in Metro Manila, Philippines. According to the 2015 census, it has a population of 1,583,978 people making it as the fourth most populous city in the Philippines. 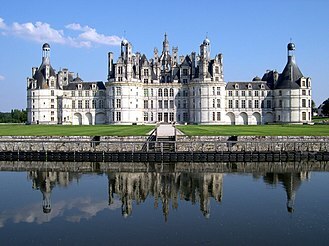 It is divided into two geographical locations with a total combined area of 5,333.40 hectares. It was formerly part of the Province of Rizal of the Philippines' Southern Luzon Region. The city's name is colloquially spelled as Kalookan. It comprises what is known as the CAMANAVA area along with cities Malabon, Navotas and Valenzuela. The word caloocan comes from the Tagalog root word lo-ok; kalook-lookan (or kaloob-looban) means "innermost area". South Caloocan is bordered by Manila, Quezon City, Malabon, Navotas and Valenzuela. North Caloocan shares its border with Quezon City, Valenzuela and Marilao, Meycauayan and San Jose del Monte in the province of Bulacan. The ammunition train and reserves of the 20th Kansas Volunteers, Col. Frederick R. Funston, marching through Caloocan at night after the battle of February 10. Originally, Caloocan was a lowland area located on the corner where the old town of Tondo and Tambobong meet. Caloocan became a municipality when it was separated from Tondo in 1815. Its original territory was extended to Marikina, San Mateo and Montalban to the east; Tinajeros, Tanza and Tala rivers to the north; San Francisco del Monte, Sampalok, Sta. Cruz and Tondo in the south; and Dagat-dagatan and Aromahan to the west. 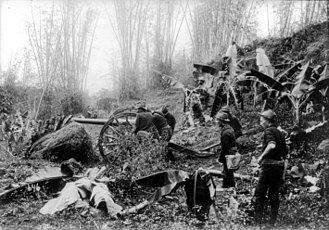 In 1899 the city saw heavy fighting in the Philippine–American War, at the Battle of Caloocan and the Second Battle of Caloocan. In 1901, during the formation of the province of Rizal, Caloocan was included in its matrix. Novaliches became part of Caloocan pursuant to Act 942, as amended by Act 984 and Act 1008 of the Philippine Commission, which was transferred in 1949 for the formation of Quezon City. Caloocan once encompassed a much larger, contiguous area. The districts of Balintawak, La Loma and Novaliches were once part of Caloocan. Balintawak is a historic district because it was the original site of the "Cry of Pugad Lawin" (Unang Sigaw sa Balintawak) at a location called "Kang-kong" near Tandang Sora's house. Novaliches was an expansive sector with some hillsides that served as meeting places and hideouts for Andrés Bonifacio and the Katipunan. By the 1920s there was a consolidation of several municipalities. Caloocan annexed the neighbouring town of Novaliches, as stated in the Act 942, as amended by Acts 984 and 1008 of the Philippine Commission, bringing its total area to about 15,000 hectares. It extended to the foothills of Marikina, San Mateo and Montalban in the east; Tinajeros, Tanza and Tala rivers in the north; San Francisco del Monte, Sampalok, Sta. Cruz and Tondo in the south; and Dagat-Dagatan or Aromahan in the west. When Quezon City was created in 1939, Caloocan ceded 1,500 hectares of land from the barrios or sitios of Balintawák, Balingasa, Kaingin, Kangkong, La Loma, Malamig, Matalahib, Masambong, Galas, San Isidro, San José, Santol and Tatalon. Instead of opposing the transfer, Caloocan residents willingly gave the land in the belief it will benefit the country's new capital city. However, in 1949, Congress passed Republic Act No. 333, which redefined the Caloocan-Quezon City boundary. The barrios of Baesa, Talipapâ, San Bartolomé, Pasong Tamó, Novaliches, Banlat, Kabuyao, Pugad Lawin, Bagbag, Pasong Putik, which once belonged to Novaliches and had an area of about 8,100 hectares, were excised from Caloocan. The remaining portion of the Novaliches is now called North Caloocan. This split Caloocan into two parts: a southern section that is more urbanised, and a northern section that became suburban-rural. 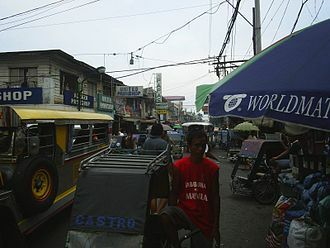 Caloocan is divided into two non-contiguous areas. Southern Caloocan lies directly north of the Manila and is bounded by Malabon and Valenzuela to the north and west, Navotas to the west, and Quezon City to the east. 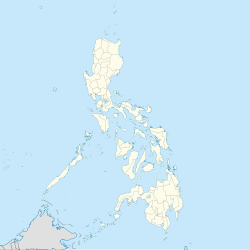 Northern Caloocan is the northernmost territory of Metro Manila which most residents call Novaliches, Caloocan; it lies east of Valenzuela, north of Quezon City, and south of San Jose del Monte, Meycauayan and Marilao in the province of Bulacan. Caloocan's northern part is much larger than its southern half. Caloocan is divided into 188 barangays. The city uses a hybrid system for its barangays. All barangays have their corresponding numbers but only a few — mostly in the northern part — have corresponding names. However, names of barrios and districts do not necessarily coincide with barangay perimeters. Barangays in southern Caloocan are smaller compared to their northern counterparts. Among the cities in Metro Manila, only Manila, Pasay and Caloocan implement the so-called "Zone Systems". A zone is a group of barangays in a district. Although a zone is considered a subdivision in the local government units, the people do not elect a leader for the zone in a popular election similar to the normal barangay or local elections. The zoning system is merely for statistical purposes. Caloocan has 16 zones. The biggest zone in Caloocan is Zone 15 in District 1 (North Caloocan) directly west of the second biggest zone in Caloocan which is Zone 16. Barangay Bagong Silang (176) is the most populous barangay in the entire country with a population of 246,515 people. In 1957, the sitio of Bagbagin was separated from the barrio of Kaybiga and converted into a distinct barrio known as barrio Bagbagin. As of 2015, the city has a population of 1,583,978 people, which makes it the fourth largest city in the Philippines in population. Under the same census year, Caloocan South (Barangays 1 to 164) has a population of 585,091 and Caloocan North (Barangays 165 to 188) has a population of 998,887. The population density of Caloocan (28,387 persons per square kilometer) surpasses that of the NCR population density. Of the country’s 238 legislative districts (LDs), the First LD of Caloocan was the biggest in terms of population size, with 1.19 million persons. Most residents speak both Filipino and English, with considerable numbers speaking other languages and dialects. Like many other places in the country, Roman Catholicism is the predominant religion. There is a significant presence of Iglesia ni Cristo and other Protestant churches like Church of God Caloocan located at Baesa, Caloocan City. Caloocan's 10th Avenue area is well known for the clusters of motorcycle dealers and motorcycle spare parts dealers. Among the major and famous streets are P. Zamora Street and A. Mabini Street. Numerous banks have branches in the city such as Banco de Oro, East West Bank, MetroBank, Maybank, Chinabank, Bank of the Philippine Islands, Our Lady of Grace Credit Cooperative, etc. The city also has a number of shopping malls and stand-alone supermarkets and hypermarkets including the former Ever Gotesco Grand Central (and future SM City Grand Central), Puregold Maypajo, Monumento and Caloocan, Victory Central Mall, Puregold Monumento, Araneta Square, Uniwide Warehouse Club Monumento, SM Hypermarket Monumento, and SM Center Sangandaan which are in Monumento area in the south. In the north, there are two shopping malls serving the residents of Bagong Silang and Camarin, namely, Zabarte Town Center, Holiday Island Mall and Metroplaza Mall. Savemore Market have three branches which are located in Kiko Camarin in Barangay 178 (Kiko Camarin), Zabarte inside Zabarte Town Center, Kaybiga and Primark Deparo. Puregold Price Club also opened three branches in North Caloocan which are located in Zabarte, Bagong Silang and Deparo. In 2017, Primark Town Center Deparo started to serve the residents of Deparo and the nearby barangays of Bagumbong and Llano. Manila North Tollways Corporation (the concession holder of the North Luzon Expressway), is headquartered in Caloocan. The North Luzon Expressway, through Segment 10.1 also traverses through Caloocan from the right-of-way of the Philippine National Railways. 1980–1986 Macario Asistio, Jr. Macario "Mac" Floro Ramirez Sr. The Balintawak Toll Barrier of the North Luzon Expressway. The Line 1 has a terminal at Monumento that passes through the city's 5th Avenue LRT Station. The railway traverses Rizal Avenue Extension and enters the City of Manila and Pasay City. The stretch can be traveled in about 30 minutes. Philippine National Railways also has a line, with its terminal at Samson Road, and passes through Caloocan railway station, 10th Avenue railway station, and 5th Avenue railway station. The currently under construction Line 7 had also proposed two stations located at the northern part of Caloocan that will be passing at Sacred Heart and Tala. The city has an extensive network of roads, the most prominent being Epifanio de los Santos Avenue, which begins in the Monumento area. The North Luzon Expressway's Operations and Maintenance Center and the motorway's Balintawak Toll Barrier are in Caloocan. Bus line Victory Liner Incorporated has its headquarters and terminal along in Rizal Avenue Extension near the Monumento Station. The city's most celebrated landmark is the monument to the revolutionary Andrés Bonifacio, which stands on a roundabout at the northern terminus of EDSA. The memorial was erected in 1933, and consists of an obelisk with sculptures by National Artist Guillermo Tolentino. 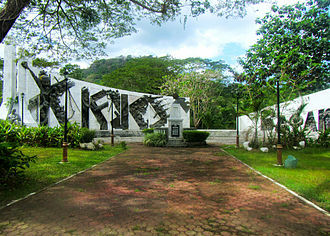 The monument marks the very first battle of the Philippine Revolution on 3 August 1896. Recent renovations have been made on the environs of the monument, including the Bonifacio Circle, its former site, and the Caloocan stretch of EDSA, which is 100 metres away from the landmark. The whole area is known as 'Monumento'. South City hall stands in a rectangular lot bordered by 8th and 9th Streets and 8th and 9th Avenues in the southern part of the city. The second old south city hall stands today at A. Mabini Street across from San Roque Parish Cathedral. There is also the North City hall serving the northern part of the city. The city's District Office of the Bureau of Internal Revenue is along EDSA. The Caloocan City Police Station is under the parent agency National Capital Region Police Office's Northern Police District of the Philippine National Police. The whole Caloocan City police force was recently sacked after a series of crimes, including killings and robberies, were committed by its members. However, instead of dismissing the erring police officers, they were scheduled to be retrained by PNP Chief Ronald Dela Rosa. The city's one public university is the University of Caloocan City (formerly Caloocan City Community College in 1971 and Caloocan City Polytechnic College in 1975). Other educational institutions offering tertiary education include University of the East Caloocan, Manila Central University, La Consolacion College-Caloocan, and La Consolacion College-Novaliches, among others. There are also several public and private schools catering to K12 such as Caloocan National Science and Technology High School (North Caloocan's first-ever science and technology high school; its students are admitted if they pass a competitive examination), Caloocan City Science High School, Caloocan City Business High School, Caloocan High School, Amparo High School, Maria Clara High School, Notre Dame of Greater Manila, Philippine Cultural College (Annex), Holy Infant Montessori Center, Northern Rizal Yorklin School, St. Mary's Academy of Caloocan City, Bagumbong High School (Main and Annex), Camarin High School, Tala High School, Manuel Luis Quezon High School, Sampaguita High School, Cielito Zamora High School, Bagong Silang High School, National Housing Corporation High School (NHC HS), Genesis Christian Academy of Caloocan, Kalayaan National High School, Deparo High School, Escuela de Sophia of Caloocan, Inc., Guardian Angel School, Saint Benedict School of Novaliches, Saint Dominic Savio School of Caloocan City, Saint Andrew School MHANLE Inc., Immaculada Concepcion College, Systems Plus Computer College, St. Gabriel Academy, Asian Institute of Computer Studies - Caloocan, St. Clare College of Caloocan, Mystical Rose School of Caloocan, Holy Angel School of Caloocan Inc. , St. Agnes Academy of Caloocan Inc., St. Therese of Rose School, Young Achievers School of Caloocan, St. Joseph College of Novaliches, St. Raphaela Mary School of Caloocan, Our Lady of Lourdes Catholic School, Maranatha Christian Academy of Caloocan (Camarin), Kasarinlan High School, Camarin Elementary School and the two campuses of La Consolacion College (one is in Novaliches in the northern part and the other is on the southern part, near city hall). There is a campus of Access Computer College, AMA Computer College Campus, a degree-awarding tertiary educational institution and STI Academic Center Caloocan at the Samson Road Road corner Caimito Road in front of UE Caloocan. A century-old Taoist temple, near Line 1 5th Avenue Station. 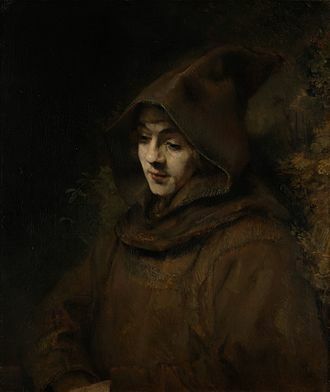 ^ "Province: NCR, THIRD DISTRICT (Not a Province)". PSGC Interactive. Quezon City, Philippines: Philippine Statistics Authority. Retrieved 12 November 2016. ^ a b c d e Census of Population (2015). "National Capital Region (NCR)". Total Population by Province, City, Municipality and Barangay. PSA. Retrieved 20 June 2016. ^ "About Us". www.caloocancity.gov.ph. 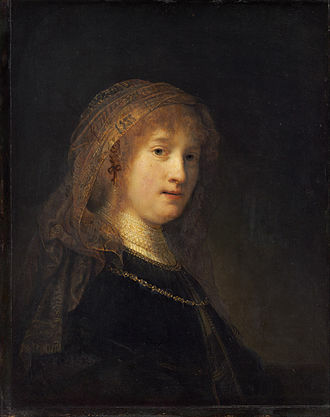 Retrieved 2019-03-20. ^ "An Act to Convert the Sitio of Bagbagin, Municipality of Caloocan, Province of Rizal, into a Barrio to be known as Barrio Bagbagin of the Same Municipality and Separating it from the Barrio of Caybiga of the Same Municipality". LawPH.com. Retrieved 2011-04-12. ^ Census of Population and Housing (2010). "National Capital Region (NCR)". Total Population by Province, City, Municipality and Barangay. 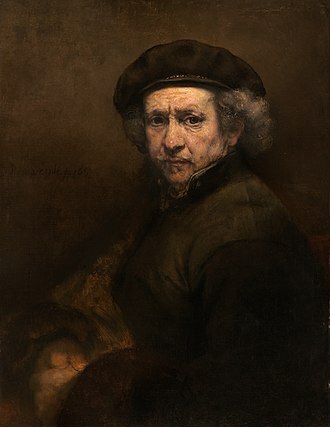 NSO. Retrieved 29 June 2016. ^ "Province of Metro Manila, 3rd (Not a Province)". Municipality Population Data. Local Water Utilities Administration Research Division. Retrieved 17 December 2016. ^ "Philippine Population Density (Based on the 2015 Census of Population)". Philippine Statistics Authority. Retrieved 6 December 2016. ^ "Population Counts by Legislative District (Based on the 2015 Census of Population)". Philippine Statistics Authority. Retrieved 6 December 2016. ^ "Sister cities". Manila Bulletin. Retrieved 30 August 2016. Wikivoyage has a travel guide for Caloocan. Wikimedia Commons has media related to Caloocan City. Navotas is a city in the Philippines located north of Manila. It is dubbed as the Fishing Capital of the Philippines because the livelihood of many of its residences were derived directly or indirectly from fishing, although it was established on December 20,1827, Navotas celebrates its foundation day every January 16. Navotas became a city after a plebiscite was held on June 24,2007, the entire region of Navotas was once part of Malabon. According to one legend, the long and narrow delta extended unbroken from north to south along the seashore, the strip of land between the former district of Tondo and this town was eaten away by the sea until an opening was made. Water began to flow through the opening, the geographical change prompted the people to refer to the place as butas, nayon ng butas, or nabutas, a Tagalog word that means breached or pierced through. What began as a natural channel developed into a regular waterway, in years, the place came to be known as Nabotas, Navotas. San Jose de Navotas was the given to the locality after its patron saint, Saint Joseph. On June 11,1859, a Superior Decreto established a new parish, the populace was divided into two distinct groups, the naturales and the mestizos. 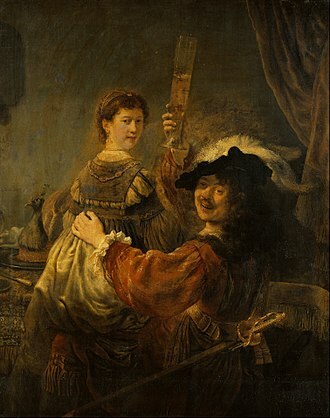 Mariano Estrellas was the gobernadorcillo of the naturales and Mariano Israel, because records are incomplete, recognition is only given to the gobernadorcillos for the mestizos. A school in honor of San Jose was built and known as San Jose Academy, December 20,1827 – The movement for separation of Navotas which was a part of Malabon. February 16,1859 – The date when the barrios of San Jose, Navotas,1859 – Cavada, the year when Navotas became an independent town. August 6,1898 – Navotas joined the government of General Emilio Aguinaldo. June 11,1901 – Navotas was eventually incorporated into the newly created province of Rizal enacted Act,1904 - the town was again merged with Malabon. Bernardo Dagala, a native of Navotas, was elected municipal president, January 16,1906 – Navotas finally became an independent municipality with the enactment of Act. No.1442 which separated it from Malabon, January 16,2006 - Navotas celebrated its centennial June 24,2007 – Navotas became a city after a plebiscite was conducted. Rizal, officially known as the Province of Rizal is a province in the Philippines located in the CALABARZON region, just 16 kilometres east of Manila. The province is named after José Rizal, one of the national heroes of the Philippines. Rizal is bordered by Metro Manila to the west, Bulacan to the north, Quezon to the east, the province lies on the northern shores of Laguna de Bay, the largest lake in the country. Rizal is a mountainous province perched on the slopes of the southern portion of the Sierra Madre mountain range. Antipolo offers a view of Metro Manila and is the location of the Hinulugang Taktak. Tagalog settlement arrived some time in the pre-Spaniard period, the provincial territory began with the organization of the Tondo province and Laguna province during the Spanish administration. Some of the towns like Pasig, Parañaque and Cainta were already thriving. 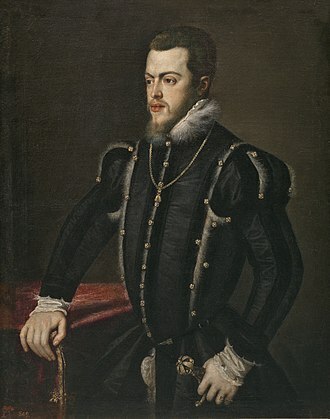 From the reports of the Encomiendas in 1582-1583, the Encomiendas of Moron was under the jurisdiction of La Laguna and, in 1853, a new political subdivision was formed. This district was changed to Distrito Politico-Militar de Morong after four years. In 1860, by virtue of Circular No,83, dated September 2,1859, the Province of Tondo became the Province of Manila. All its towns were placed under the administration, fiscal supervision, the town of Mariquina became the capital of the Province of Manila during the tenure of the revolutionary government of Gen. Emilio Aguinaldo. The Province of Morong had for its capital the town of Antipolo for the period 1898-1899, the first Philippine Commission, headed by William Howard Taft and composed of Commissioners Luke E. Wright, Henry C. Ide, Bernard Moses and Dean C, discussed with the Assembly the issue of whether or not to write the Province of Manila with Morong Province, was not self-sufficient to operate as a separate province. Although the delegates from Morong, Hilarion Raymundo and José Tupas, objected to the proposal, after much acrimonious debate and upon the suggestion of Trinidad H. Pardo de Tavera the body agreed on the creation of a new province independent of the Province of Manila. The House of Representatives of the Philippines, is the lower house of the Congress of the Philippines. 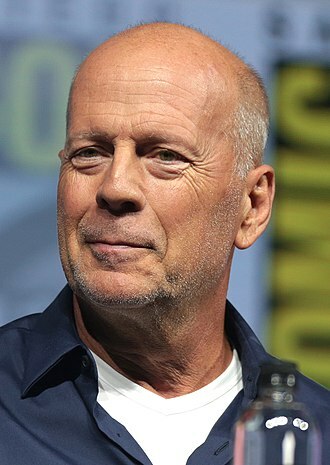 It is often informally called Congress, Members of the House are officially styled as Representative and sometimes informally called Congressmen/Congresswomen and are elected to a three-year term. They can be re-elected, but cannot serve more than three consecutive terms, around eighty percent of congressmen are district representatives, representing a particular geographical area. There are 234 legislative districts in the country, each composed of about 250,000 people, there are party-list representatives elected through the party-list system who constitute not more than twenty percent of the total number of representatives. The House of Representatives is headed by the Speaker, currently Pantaleon Alvarez of Davao del Norte, the official headquarters of the House of Representatives is at the Batasang Pambansa located in the Batasan Hills in Quezon City in Metro Manila. The building is simply called Batasan and the word has become a metonym to refer to the House of Representatives. At the beginning of American colonial rule, from March 16,1900, william Howard Taft was chosen to be the first American civilian Governor-General and the first leader of this Philippine Commission, which subsequently became known as the Taft Commission. This bicameral legislature was inaugurated in October 1907, under the leadership of Speaker Sergio Osmeña and Floor Leader Manuel L. Quezon, the Rules of the 59th United States Congress was substantially adopted as the Rules of the Philippine Legislature. It is this body, founded as the Philippine Assembly, that would continue in one form or another, in 1916, the Jones Act, officially the Philippine Autonomy Act, changed the legislative system. The Philippine Commission was abolished and a new fully elected, bicameral Philippine Legislature consisting of a House of Representatives, the legislative system was changed again in 1935. The 1935 Constitution established a unicameral National Assembly, but in 1940, through an amendment to the 1935 Constitution, a bicameral Congress of the Philippines consisting of a House of Representatives and a Senate was adopted. A barangay, formerly referred to as barrio, is the smallest administrative division in the Philippines and is the native Filipino term for a village, district or ward. In colloquial usage, the term refers to an inner city neighbourhood. The word barangay originated from balangay, a kind of boat used by a group of Austronesian peoples when they migrated to the Philippines, as of June 2015, there were 42,029 barangays throughout the Philippines. When the first Spaniards arrived in the Philippines in the 16th century, the name barangay originated from balangay, a Malay word meaning sailboat. The first barangays started as small communities of around 50 to 100 families. By the time of contact with Spaniards, many barangays have developed into large communities, some of these barangays had large populations. In Panay, some barangays had 20,000 inhabitants, in Leyte,15,000 inhabitants, in Cebu,3,500 residents, in Vitis,7,000 inhabitants, there were smaller barangays with less number of people. But these were generally inland communities, or if they were coastal and these smaller barangays had around thirty to one hundred houses only, and the population varies from one hundred to five hundred persons. According to Legazpi, he found communities with twenty to thirty people only, the original “barangays” were coastal settlements of the migration of these Malayo-Polynesian people from other places in Southeast Asia. Most of the ancient barangays were coastal or riverine in nature and this is because most of the people were relying on fishing for supply of protein and for their livelihood. They travelled mostly by water up and down rivers, trails always followed river systems, which were a major source of water for bathing and drinking. The coastal barangays were more accessible to trade with foreigners and these were ideal places for economic activity to develop. Business with traders from other countries meant contact with cultures and civilizations, such as those of Japan, Han Chinese, Indian people. These coastal communities acquired more cosmopolitan cultures, with developed social structures, during the Spanish rule, through a resettlement policy called the Reducción, smaller scattered barangays were consolidated to form compact towns. 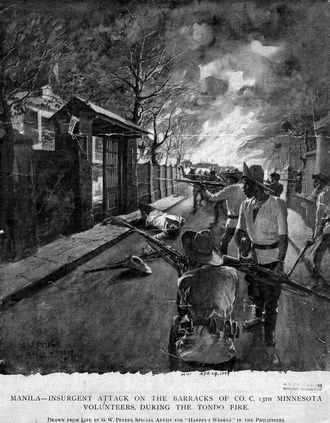 The Second Battle of Caloocan, alternately called the Second Battle of Manila, was fought from February 22 to 24,1899, in Caloocan during the Philippine–American War. The battle featured a Filipino counterattack aimed at gaining Manila from the Americans and this counterattack failed to regain Manila mainly because of lack of coordination among Filipino units and lack of artillery support. 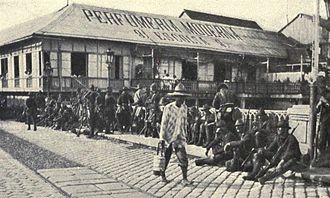 The Philippine–American War began on February 4,1899, with the culmination of the Battle of Manila, later, on February 10, Filipino forces regrouped in Caloocan and fought again with the American forces at the first Battle of Caloocan. The Americans won both engagements, but Elwell S. Otis had Arthur MacArthur, Jr. wait before attacking Malolos. Noticing that the Americans had halted their offensive to reorganize, the Filipino forces, now under the command of General Antonio Luna, Lunas headquarters was established in Polo, and operations for the counterattack were prepared there. The troops directly under his command were organized into three brigades, the West Brigade was under General Pantaleon Garcia, the Center Brigade was under General Mariano Llanera, and the East Brigade was under Colonel Maximino Hizon. The plan envisioned by Luna and his staff was to affect a union of forces from the north and south of Manila with the sandatahanes or bolomen inside the city. The other forces that were to attack simultaneously with Lunas troops were the men of General Licerio Gerónimo from the east, Luna even requested the battle-hardened Tinio Brigade in Northern Luzon, under the command of Manuel Tinio. It had more than 1,900 soldiers, Aguinaldo gave only ambiguous answers. The total Filipino force amounted between 5,000 men, the defending American force had 15,000 to 20,000 men in Manila and its suburbs. At 9 pm on February 22, fire broke out at the brothel in Santa Cruz, followed by another in Tondo, the fires signaled the beginning of the Filipino counterattack. Around 9 pm, Aguinaldo received a telegram concerning the fire, panicked refugees fled from the flames in Tondo and as the market in Binondo caught fire after midnight. As a result, it took three hours for the fires to be brought under control, at around 10 pm, armed Filipinos under Colonel Francisco Roman entered Tondo and confronted the surprised American troops. Meycauayan City is a first class, highly urbanized component city in the province of Bulacan, Philippines. The city is located 19 kilometres north of Manila and 26 kilometres south of Malolos City and it is bounded by the town of Marilao to the north, the cities of Valenzuela to the south and Caloocan to the east, and the town of Obando to the west. It encompasses an area of 22.1 square kilometres. According to the 2015 census, it has a population of 209,083 people, Meycauayan is the second billionaire city of Bulacan after San Jose del Monte and one of the richest cities in Central Luzon in terms of economy. The city is prominent for its jewelry and tanning industry and it is home to several industrial parks, mostly located at Barangays Iba and Pantoc. Meycauayan is generally surrounded with plain land and gentle rolling hills, Meycauayan is named to Filipino phrase May Kawayan that means With Bamboos. Comfortably above sea level, this terrain is an interweaving of greenery, the slope of the land dips towards a west to north westerly direction. River, natural lake and drainage waterways envelope and criss-cross the area, today it is bordered by the town of Marilao to the north, Valenzuela to the south, Northern part of Caloocan to the east, and the town of Obando to the west. Meycauayan is administratively subdivided into 26 urban barangays, in the 2015 census, the population of Meycauayan was 209,083 people, with a density of 6,500 inhabitants per square kilometre or 17,000 inhabitants per square mile. 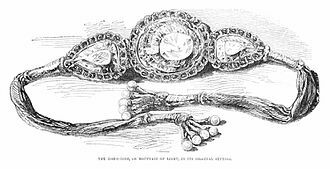 Meycauayan City is very famous for its jewelry and leather industries, for years, Meycauayan has been the hub of jewelry production in the Philippines and in Asia. It is famous for its very affordable jewelries, Meycauayan prides itself on its leather goods. Shoes and every kind of leather product has been manufactured here. A number of leather tanneries still operate in Meycauayan, which over the years have converted the city into a hub for leather goods, Meycauayan City is the economic, commercial and educational centre of southern Bulacan. Marilao is a first class, highly urban municipality in the province of Bulacan, Philippines. According to the 2015 census, it has a population of 221,965 people, with the continuous expansion of Metro Manila, the municipality is part of Manilas built-up area which reaches San Ildefonso on its northernmost part. In 1913 Marilao completely became an independent town, Marilao is politically subdivided into 16 barangays, all classified as urban. In the 2015 census, the population of Marilao, was 221,965 people, just as the national government, the municipal government of Marilao is divided into three branches, executive and judiciary. The judicial branch is administered solely by the Supreme Court of the Philippines, the LGUs have control of the executive and legislative branch. The executive branch is composed of the mayor and the captain for the barangays. The legislative branch is composed of the Sangguniang Bayan, Sangguniang Barangay, in 2013, a new municipal hall was built at Barangay Patubig, which houses the Mayors office, among other departments. The Philippine Revolution, called the Tagalog War by the Spanish, was a revolution and subsequent conflict fought between the people of the Philippines and the Spanish colonial authorities. The Philippine Revolution began in August 1896, when the Spanish authorities discovered Katipunan, the Katipunan, led by Andrés Bonifacio, was a liberationist movement whose goal was independence from Spain through armed revolt. 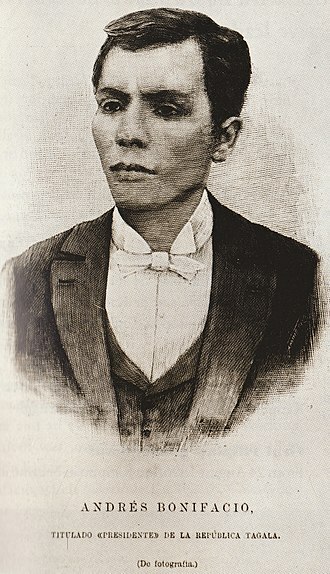 The organization began to influence much of the Philippines, Bonifacio called for an attack on the capital city of Manila. This attack failed, the surrounding provinces began to revolt, in particular, rebels in Cavite led by Mariano Alvarez and Emilio Aguinaldo won early victories. A power struggle among the revolutionaries led to Bonifacios death in 1897, with command shifting to Aguinaldo and that year, the revolutionaries and the Spanish signed the Pact of Biak-na-Bato, which temporarily reduced hostilities. Aguinaldo and other Filipino officers exiled themselves in Hong Kong, the hostilities never completely ceased. On April 21,1898, the United States launched a blockade of Cuba. On May 1, the U. S. Navys Asiatic Squadron, under Commodore George Dewey, decisively defeated the Spanish Navy in the Battle of Manila Bay, effectively seizing control of Manila. On May 19, unofficially allied with the United States, returned to the Philippines, by June, the rebels had gained control of nearly all of the Philippines, with the exception of Manila. 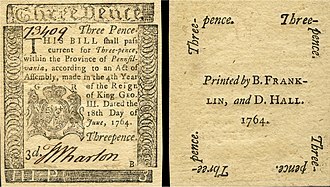 On June 12, Aguinaldo issued the Philippine Declaration of Independence, although this signified the end date of the revolution, neither Spain nor the United States recognized Philippine independence. 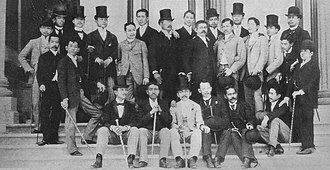 The Spanish rule of the Philippines officially ended with the Treaty of Paris of 1898, in the treaty, Spain ceded control of the Philippines and other territories to the United States. There was an uneasy peace around Manila, with the American forces controlling the city, in June 1899, the nascent First Philippine Republic formally declared war against the United States. The Philippines would not become an internationally recognized independent state until 1946, the main influx of revolutionary ideas came at the start of the 19th century, when the Philippines was opened for world trade. The flood brought by Typhoon Ketsana (Tropical Storm Ondoy) in 2009 caused 484 deaths in Metro Manila alone. The Batasang Pambansa Complex is the seat of the House of Representatives. 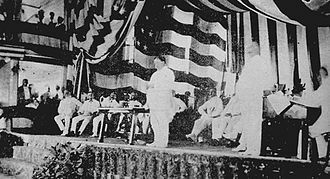 William Howard Taft address the 1st Philippine Legislature at the Manila Grand Opera House in 1907. The 2nd Philippine Legislature convened at The Mansion in Baguio in 1921. 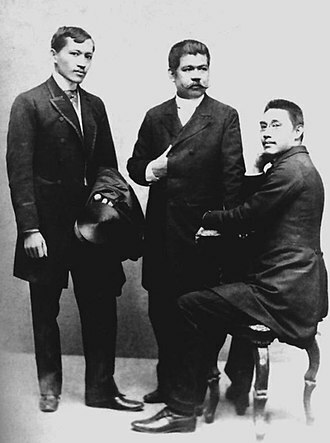 Valenzuela was named after Pío Valenzuela, a Filipino revolutionary who was born in Polo in 1869. Stone arch in barangay Arkong Bato built by the Americans in 1910, which serves as the boundary marker to the old town of Polo. The Valenzuela City Hall Complex in barangay Malinta. The printing machine used by the First Philippine Republic (now the Case Real Shrine), where the newspapers La Independencia, El Heraldo de la Revolucion, Kalayaan, and Kaibingan ng Bayan were printed. During the Japanese occupation, the "Bulacan Military Area", under Capt. Alejo Santos, used this machine, against the Japanese. Recto Avenue running through Divisoria. The Main Building of the Navotas Polytechnic College. 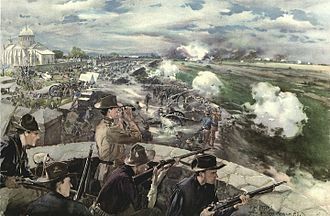 Filipinos attack the barracks of the 13th Minnesota Volunteers. Instructions on how to vote posted outside polling precincts during the election.